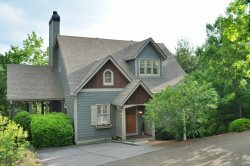 220 acres of artistically landscaped gardens set in the rolling hills of North Georgia and surrounded by majestic forest, spring-fed ponds, streams, waterfalls and bridge crossings. Highlights in spring include 20 Million Daffodils from March to mid- April, hundreds of native dogwoods, native azaleas, spring annuals, perennials, wildflowers and ferns. The Japanese Gardens with 40 handcrafted lanterns, features spring flowering shrubs like crabapples, azaleas and native azaleas. Summer offers thousands of brilliant daylilies, ponds filled with waterlilies, and masses of colorful annuals and perennials that bloom into fall. Fall is colorful with over 2,000 Japanese maples providing brilliant foliage into November. Remember, we offer Season Passes which means you can visit as often as you like. If you’re already a member, and you bring a guest and they purchase a 4 Season pass, we’ll give you one free guest pass!